On Wednesday night my darling boyfriend and I attended the Fast Fashion Uncovered event held in the Myer Centre Adelaide. With a focus on dressing up elegant pieces with fast fashion options, the night was a huge success! 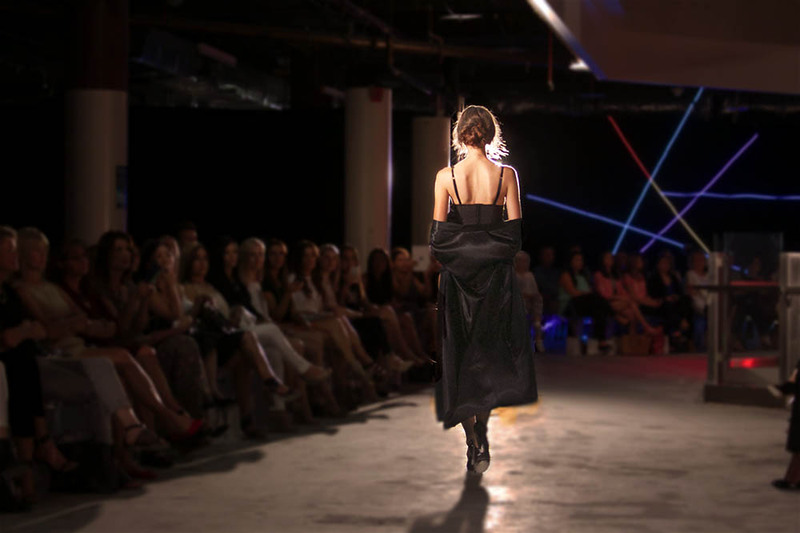 The fast fashion showcase was selected from retailers within the Myer Centre, such as: Ally Fashion, David Roger and Relax In Vintage. This fluorescent colour is this season’s no. 1 shade! Be it a dress, skirt, or top. Team with orange for a fresh, day-to-day look and red for a night time look. If this is your thing, go for it! This was a very popular trend in the fashion show! These patterns are being intertwined with splashes of colour, as well as other patterns, such as stripes. No longer only for high teas, this is the perfect elegant, summer skirt. Team with crops for the most flattering and modern look. Perfect for almost every occasion. This can be a day to day garment, worn with high waisted shorts or mini skirts. However, to make a look more elegant pair it with a midi skirt, or culottes. Bold colours for night, cheeky patterns for the day, you know the drift! We can’t leave men out of the pick and bow ties are more than back this season! Although many males sported these with a simple pair of shorts, these are most commonly paired with short sleeve patterned shirts with collars. Get around that lads! My favourites looks from Myer’s runway were the grunge looks, combining denim with plaid, camo and mesh. Of course the timely classics to a monochrome theme also had my heart skip a beat. My other write ups on the event on can be seen at: Adelaide Fashion Festival Website and Fashion Global.